Your lungs draw more than 20,000 breaths of air into the body every day. 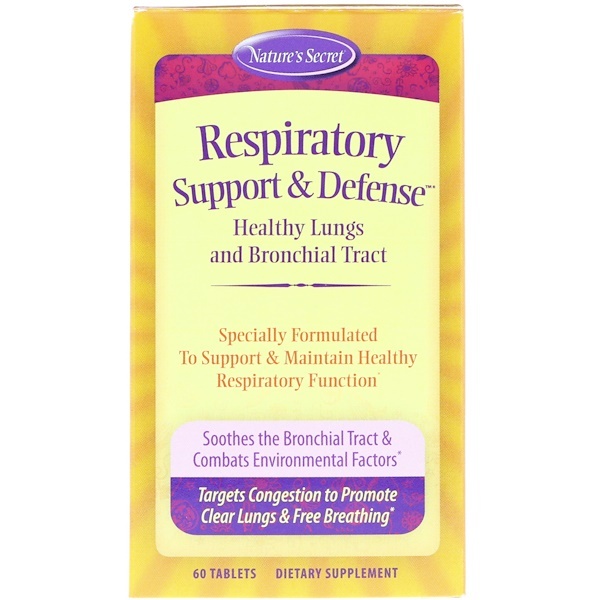 Yet most of us take for granted how important respiration is to overall health and well-being. 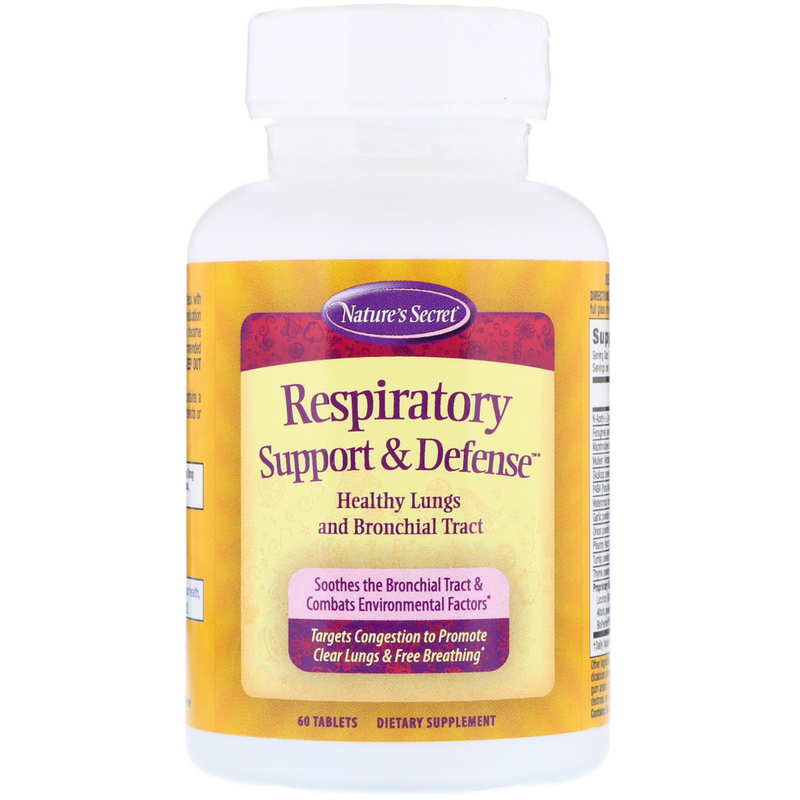 Respiratory Support & Defense is designed to nourish and support the entire respiratory system. It supplies a robust blend of 14 botanicals including Fenugreek and Marshmallow. Plus it features NAC - a powerful amino acid to help maintain clear bronchial airways and boost levels of glutathione (a major antioxidant for the respiratory tract and lungs). 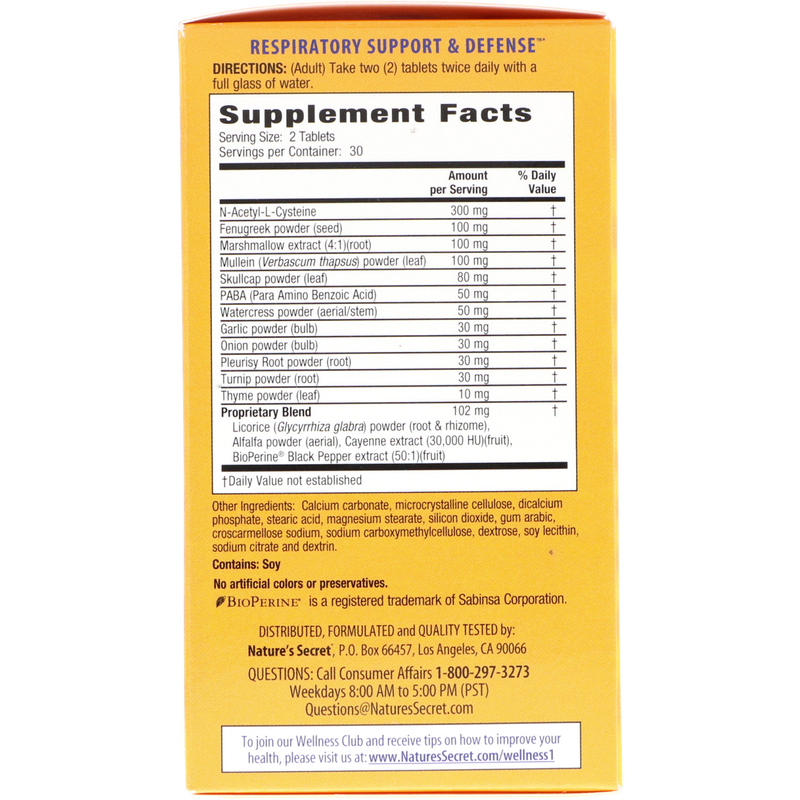 This product can be taken every day for health maintenance or as needed for targeted support. The conventional approach to health sees the body as a set of separate parts, each needing their own separate treatments. Take a look at the way our medical system is organized – from cardiologists to dermatologists, we have a doctor for nearly every body part. But nature has a well-kept secret… there is no separation between any of our systems. They are all intricately connected in a brilliant dance only nature could orchestrate. At Nature’s Secret, we develop our products using this whole-body philosophy. (Adult) Take two (2) tablets twice daily with a full glass of water.